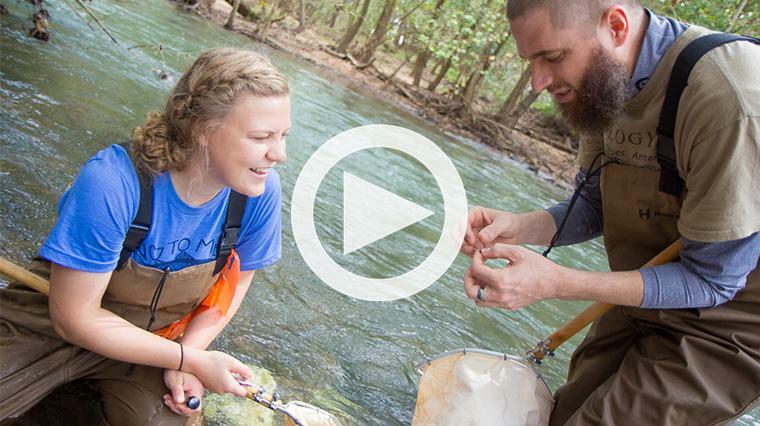 Explore the world with STEM majors at EMU. 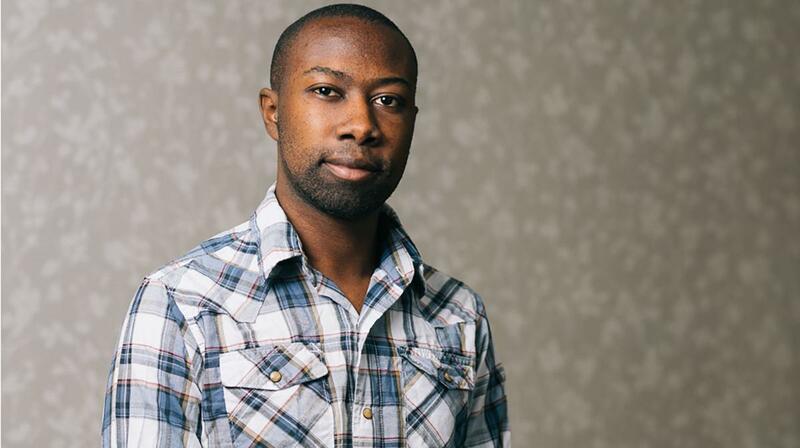 Arnold Muthogi, a senior environmental studies major, returned home to Kenya last summer to complete an environmental sustainability practicum planting trees in impoverished communities near Nairobi’s city center. 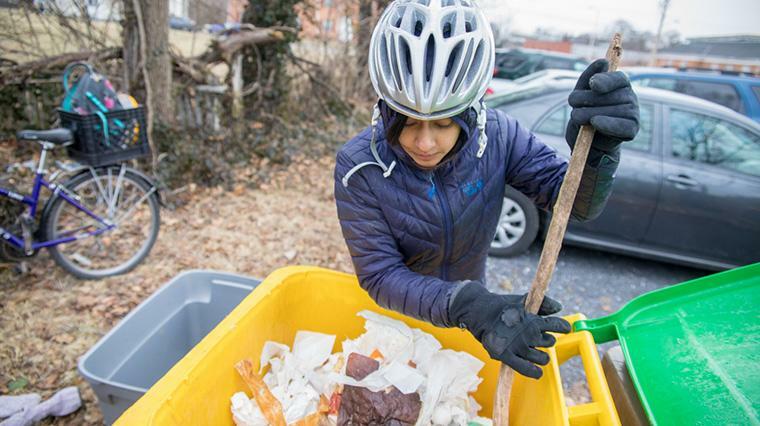 Soil Cycles HVA – “Compost Collection on Two Wheels” – offers food scrap pick-up services to residential and business subscribers. 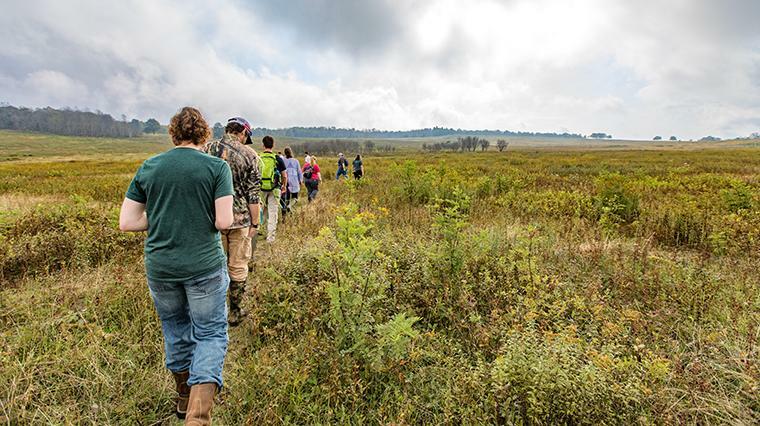 Students in environmental science and sustainability study in Shenandoah National Park and other local parks and forests. Earthkeepers is an EMU student group to encourage environmentally-friendly practices and exploring ideas around simplicity and sustainable lifestyles. 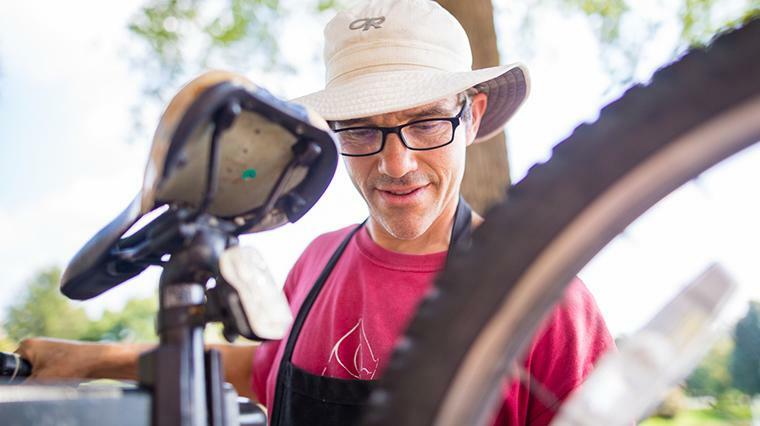 Ben Wyse ‘99 sets up his mobile bicycle repair shop – Wyse Cycles – in front of Eastern Mennonite University’s Campus Center on most Wednesdays. He is also the Best Bike Mechanic of the Blue Ridge in Blue Ridge Outdoors magazine’s Best of the Blue Ridge Awards contest. EMU was encouraging sustainable living long before “green” became trendy. It’s always part of our understanding of our call to live gently with God’s creation. EMU students live in LEED-certified, energy efficient residence halls. Our library draws power from the first commercial-scale solar installation in the state at its time (2010). Dining hall guests compost food scraps to later nourish campus gardens. Campus garden produce makes its way to the dining hall and student apartments. A Climate Action Plan to achieve climate neutrality by 2035. 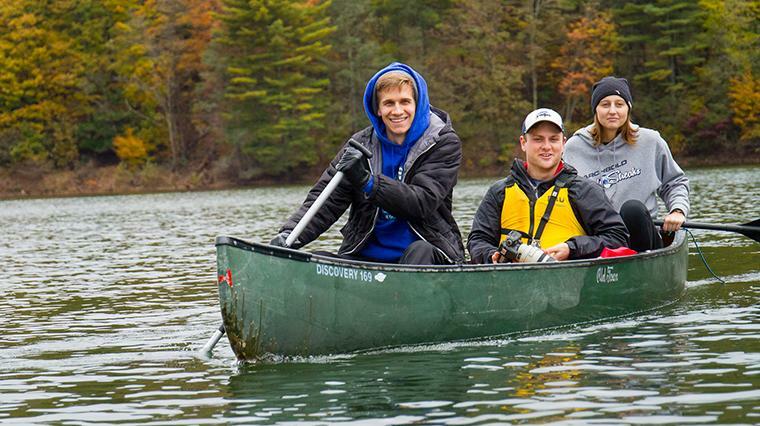 Sustainability and creation care are incorporated across the undergraduate core curriculum and are part of EMU’s core values. Our conservation photography class is an example of how the arts can support sustainability. Check out EMU’s awards and recognitions and our sustainability reports. CSCS advances thinking and action in Anabaptist and other faith communities to mitigate climate change. In order to establish a mission-focused, data-driven foundation for the center’s work, initial activities have been focused on broad-based research and strategic planning. As well as strategic planning, the Center’s programmatic work in student engagement, congregational outreach, and innovative solutions serves as a guide, as we work to make climate action the moral equivalent of peacebuilding in the Anabaptist community. See the CSCS website for more information. Read about how Professor Robert Lehman led the way for EMU’s sustainability focus and EMU’s 100 years of commitment to sustainability and creation care. We’ve been pioneers in constructing energy-efficient buildings and installing innovative heating and cooling systems since the 1980s. “EMU was among the first schools involved in groundbreaking work that is raising awareness about institutional nitrogen footprints,” said Laura Cattell Noll ’09, a graduate student in environmental sciences at the University of Virginia, on the “N-Print” project. Read more here. Residence hall Cedarwood set college precedent in 2011 when it received LEED “gold” certification, one of the highest environmental standards construction can attain. Gold level LEED-certified renovations to Elmwood and Maplewood residence halls followed soon after.